NXT is an advanced Blockchain platform designed to improve the basic functionality of pioneering cryptocurrencies such as Bitcoin. Its primary goal is to revolutionize financial technology, crowdfunding, and governance, through the introduction of a new cryptocurrency NXT coin. The platform is designed to cater to the needs of all people and businesses as it enables the creation of a digital currency and trading. It also allows other DAO-style functions such as voting and data storage. NXT coin acts as fuel for the NXT ecosystem. The token can be used as transaction fee when transferring an asset from one person to another. The digital currency can also be used to represent things like bonds or ownership of a project or store arbitrary data on a Blockchain. The open source cryptocurrency and payment service were launched in 2013 by an anonymous software developer dubbed BCNext. It was created without any Initial coin offering announcement and with a total of 1 billion NXT coin. NXT was conceived as a flexible platform around which people could build applications and financial services. It comes with an integrated Asset Exchange, messaging and marketplace. Users can also create new currencies within the system. NXT uses proof of stake to process transactions on its Blockchain, which significantly removes a security risk inherent in other coins. Unlike other cryptocurrencies, no mining is involved in the Blockchain. The platforms code was written from scratch and is not built off Bitcoin’s Blockchain or any other Blockchain technology. The cryptocurrency implements a new feature called ‘Transparent forging’ that allows NXT to approach Visa/Mastercard rates of transactions. No Other cryptocurrency can scale this high. The platform also provides built-in support for planned extra decentralized features such as a peer-peer exchange, colored coins messaging chat and DNS. The NXT Asset Exchange offers secure, direct peer-to-peer trading and allows users to create their own projects. The exchange also allows for the trading of shares and crypto assets. All transactions carried out on the Blockchain are normally recorded on an immutable NXT public ledger. The NXT Blockchain has a data cloud system that enables data storage as well as publication and verification on the Blockchain. Just like other systems, it promises to be secure, effective and simple when it comes to data storage. Sending of encrypted or plain text is also possible as the NXT Arbitrary Messages system has evolved into a file sharing system for decentralized applications. NXT coin mining is not possible. The digital currency is one of the popular Altcoin that cannot be mined in the traditional sense. Users can only forge new NXT coins in a process that does not require any dedicated hardware to do so. Users only have to leave their NXT wallet open, assuming it contains balance, to earn small amounts of interest in the process. The fact that the Altcoin runs a proof of stake algorithm makes mining in the traditional way absolute. The digital currency has an unchanging NXT coin supply, which means no new units are created for block rewards. NXT coin value has been rising steadily since inception in 2013, a trend that is expected to continue given the hype around cryptocurrencies. However, NXT coin value cannot be compared with that of Bitcoin and Ethereum. 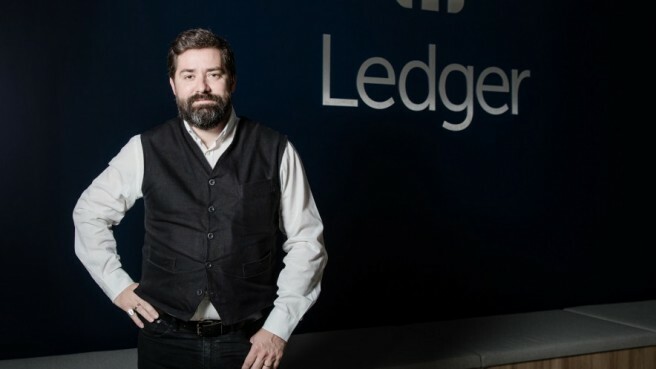 Ledger is developing a vault service for financial institutions. As its value surges, it is also attracting large corporate investments.